We are excited to welcome Jacqueline S. Vinaccia for a guest post about the advice she wishes she received as a young lawyer. Jacqueline is a partner and head of the litigation department at a business, municipal and real estate law firm in San Diego. Welcome, Jacqueline! I graduated from law school in 1990. I had wanted to be a lawyer since the fourth grade when Mrs. Raskoff taught a unit on the court system and I became the lead prosecutor who charged Peter Pan with kidnapping. We convicted him. The 1980’s was an era when attorneys were paid large salaries to work grueling hours. The perks included seminars, client development conferences, personal copies of practice guides, and sometimes chefs and suit allowances, all at firm expense. Most of that changed in the 1990’s when the economy took the first nosedive that affected me as an adult. Law firms cut back. They still required attorneys to work grueling hours, but the salaries did not keeping pace with the rise of the 1980’s. Attorneys had to share the practice guides in the firm’s law library, seminars were in-house, conference attendance had to be earned, and meals and suits were your own expense. We became an era of young attorneys who were bitter that we had missed out on benefits freely given to those only a few years ahead of us. We refused to pay for our own practice guides, seminars, or client development conferences. If the firms we worked for valued our commitment, they would pay for these things! In retrospect, we were prima donnas. I believe that this attitude is part of what caused so many of us to leave the profession early in our careers. I am happy I did not leave my practice, though I admit to seriously considering it. But, I do wish someone had impressed upon me the value of investing in myself when I first graduated law school. I wish someone had advised me to invest in myself, to develop my personal brand, and to develop management skills. None of these topics are addressed in law school curricula. Very few young attorneys know anything about landing a client, much less running a business. Though I have been practicing for nearly 25 years, it has only been in the last few years, that I have seriously devoted time to developing my skills as a professional, a business owner, and a rainmaker. I am excited about the strides I have made for myself. Still, part of me cannot help but think about how I wish I understood the value of developing these skills earlier in my career. How far would I be now, if I had done this focused work on myself ten or fifteen years ago? I am living proof that it is never too late to aspire to greater things, to increase your competencies and make yourself a better attorney. I strenuously advocate learning the business skills law school does not teach you early in your legal career. Your education never ends. If you commit to yourself and invest in your education and the necessary tools for your career, you don’t owe anyone another week or month at your current job, whether you love it or hate it. All the books, CDs, DVDs, and skills belong to you to take when you leave. Spend a little time everyday investing in yourself; you will not regret the investment! Thanks, Jacqueline! Really great article. 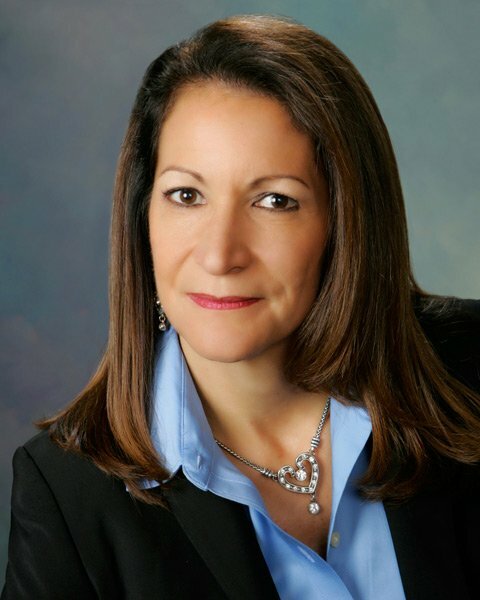 Jacqueline S. Vinaccia is a partner and head of the litigation department at Lounsbery Ferguson Altona & Peak LLP a business, municipal and real estate law firm in Escondido, California. She also has a niche practice as an expert witness in attorneys’ fee disputes and is a proud member of the Millionaire Girls Movement. She can be reached at jsv@lfap.com.